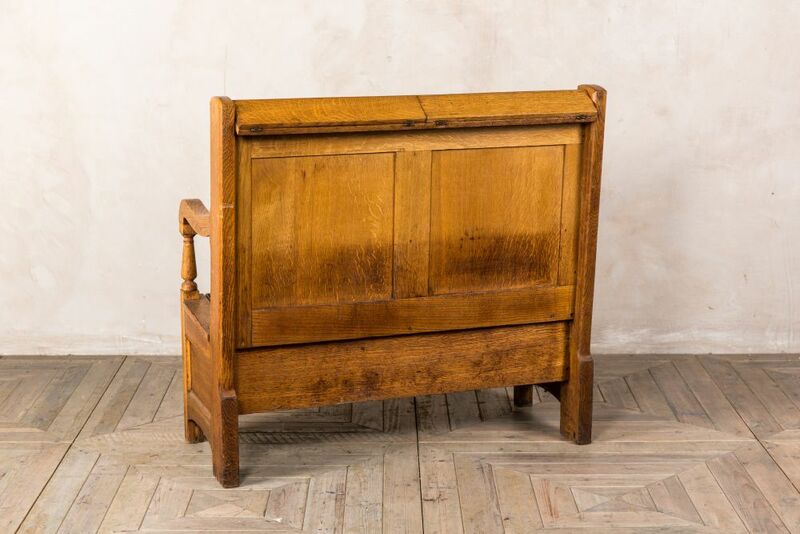 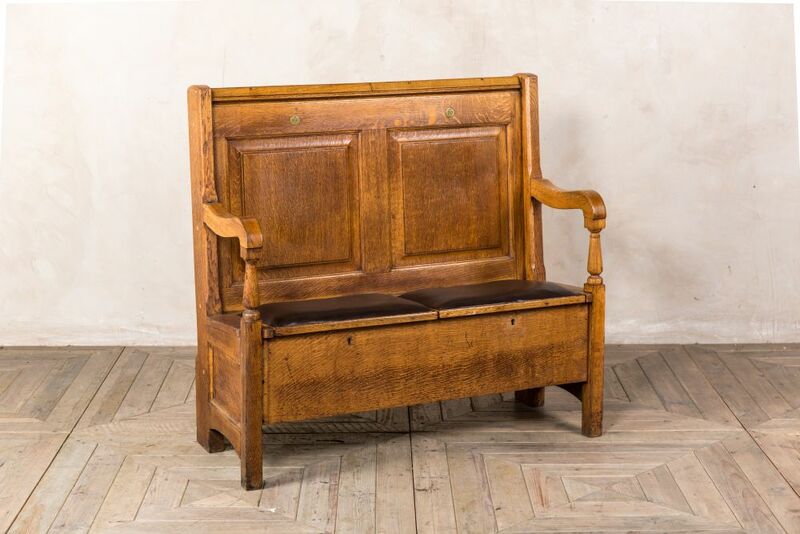 Give this antique pew a new lease of life as a dining bench or porch bench. 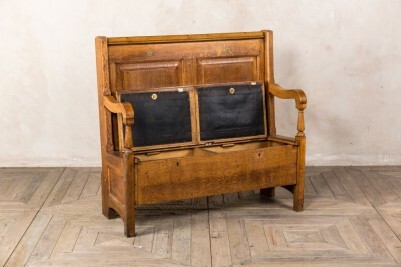 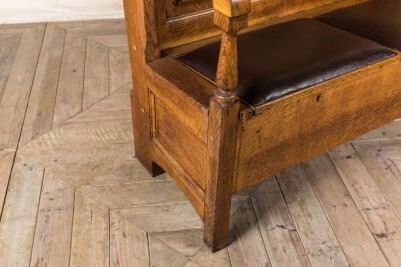 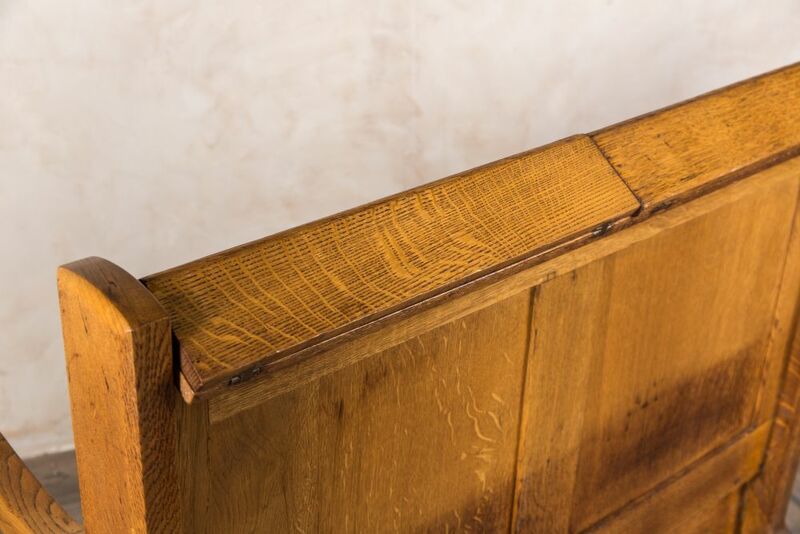 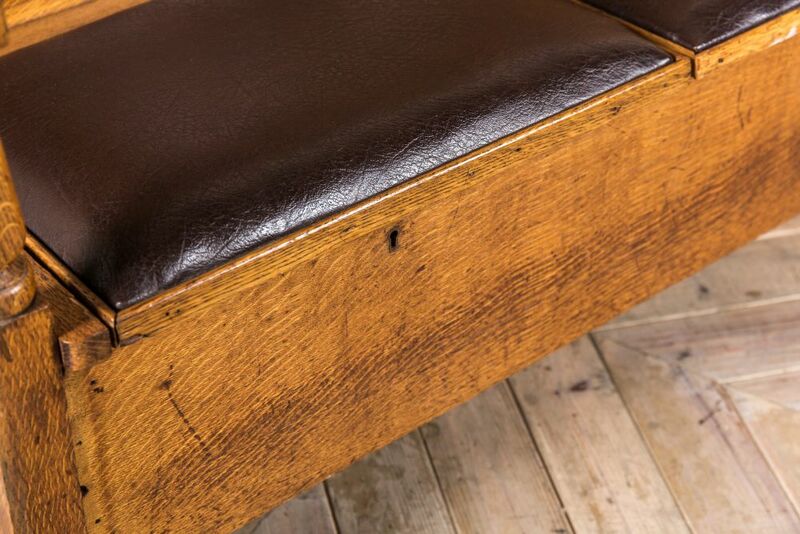 Reclaimed from a London gentleman’s club, this pew is ideal for a period property. 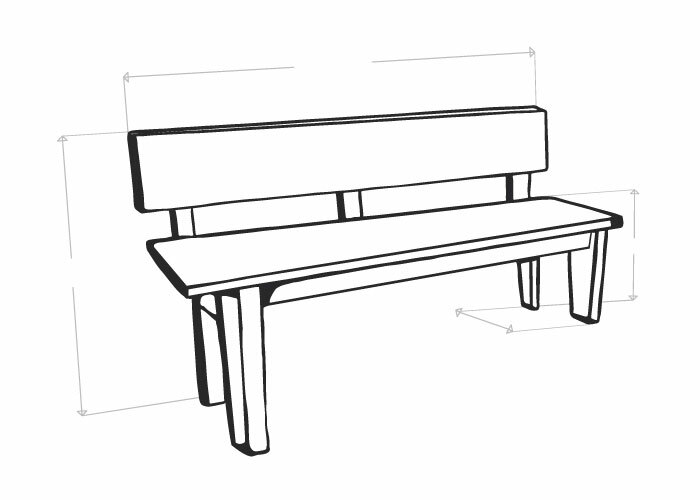 The pew is solid oak, and it has padded vinyl seats for added comfort. The seats lift up to reveal ample storage, providing the perfect place to store shoes in a large porch or hallway. 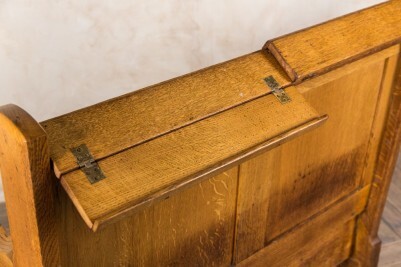 No keys come with the pew, but the underneath storage can still be accessed. 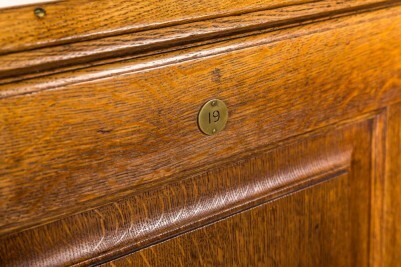 Also, the number plaques on the backs will vary. 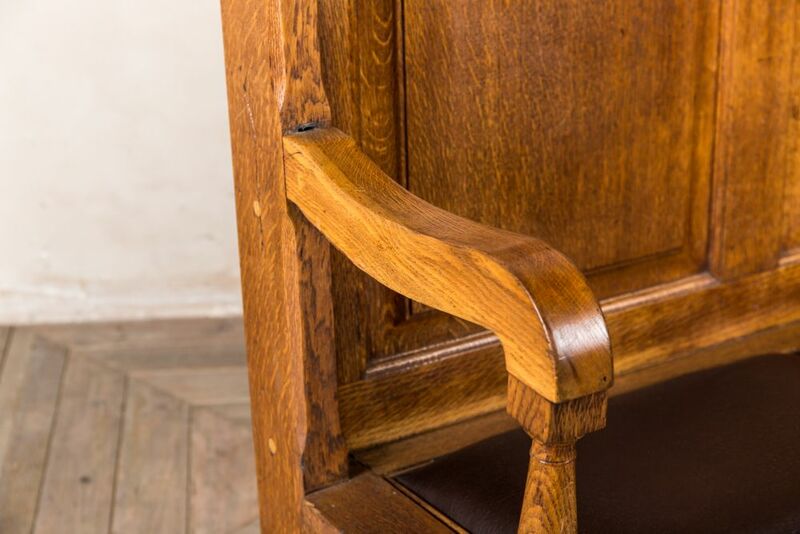 As this is an antique pew, please expect to see some signs of wear and tear. 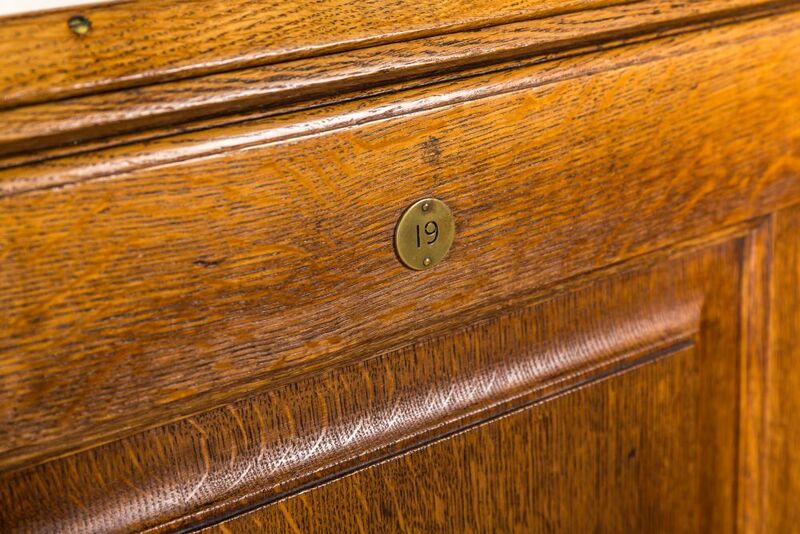 We feel that these marks only add to the pew’s distinguished character.